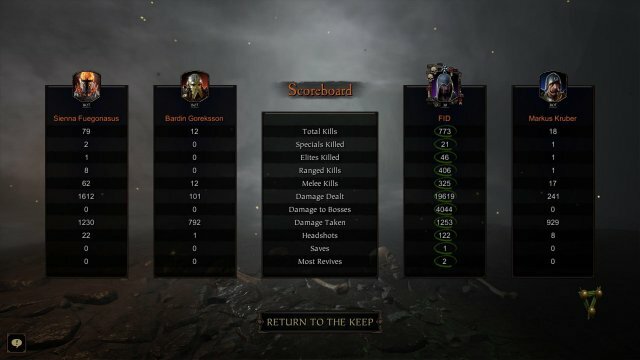 This guide provides a tried and trusted framework i have have been using for doing solo runs on Righteous Stand on Legend difficulty, complete with 1 grim and 2+ tomes. This doesn't focus on skills, but on how to make use of your bots, weapons, and environment to their full effect. 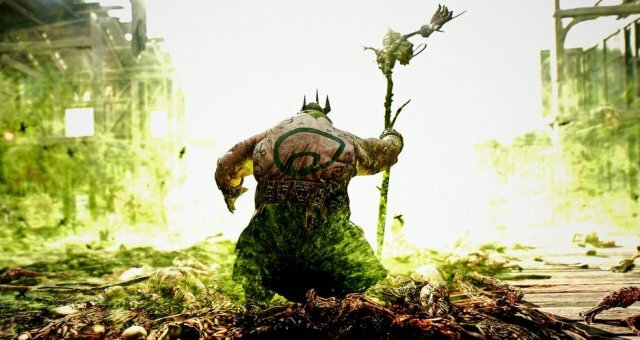 Vermintide 2 is a CO-OP game. Generally CO-OP games are designed to be played with other people. Unfortunately those other people may not exist (at certain times of the day) or may be a bit rubbish (we're only human). This guide is for people who want the challenge/loot of Legend difficulties, without having to worry about the gambling aspect of how good your teammates are, or if they will exist at all. This framework is my personal framework. I assume that there are many ways to solo on legend with different heroes, maps etc.. This is not the framework for solo/legend runs. Saying that, i have only lost once using this framework, due to 12 plaguemonks giving me the drop. Also gave me a minor heart attack as well, sneaky buggers. I know many people aren't fond of dual daggers, due to the lack of reach often giving inconsistent strikes when crowd controlling. As a shade i prefer daggers because the bots are pretty rubbish at monster-killing, so my main melee focus should be on monsters and elites. The bots are more than capable of crowd controlling, and the shades other weapons just simply aren't as effective as the daggers in this context. The hagbane bow does a fantastic job of offsetting the shades lack of crowd control, and can make quick work of hordes. All bots have the same trinkets etc. as me (due mostly to laziness). Their weapon traits and properties are standard, damage vs. chaos, crit chance, etc.. The bots main role is tanking, with a sprinkle of special/crowd control. The huge emphasis on tanking, frees you to focus on elites, monsters, and even crowd control. As a monster-focused shade, monsters can be mopped up pretty easily. Bots are fantastic at monster tanking, and their ability to keep the monsters stationary, allowing for easy melee attacks, is outstanding (even if it risks getting grabbed occasionally). If you play legend with others, i highly recommend mastering the "move forward to initiate monster attack - dodge back till attack is complete - repeat" manoeuvre, especially when playing with heroes with large dodge distances (i.e. elf). Struggling to chase down a chaos spawn/ogre can be infuriating, when the hero with aggro is running full speed away form the damage dealers. Righteous stand is fantastic for monsters. No 100% spawn areas, and all the areas (except one) that do spawn monsters are all in/very close to open areas. The only difficult location for monsters (and only potentially difficult room period, in my opinion) is the 1st grim room. In this case, i would reccommend heading to the elevator room behind you, or the far opposite side by the staircase. If bots have aggro, i suggest trying to clear any hordes or stray enemies first, unless you are confident you can kill the monster before the hordes become a problem. The bots (and anyone for that matter) are vulnerable to attacks from behind when tanking monsters. It is not hordes, elites, or monsters on their own that cause team wipes, it is mixtures of 2 or more at once. Righteous Stand is fantastic due to the many chokepoints that consistently litter the map. When a horde or ambush occur, head to a chokepoint as standard and simply let your bots form a pseudo-shield wall, while you clear out from behind, either with your hagbane (for bulk groups) or daggers (for stragglers). Like for monsters, the 1st grim room can be a pain for ambushes and hordes, but heading back to the elevator doorway for the chokepoint, or the other end of the room (tunnel chokepoint) work fine. The main point is to let the bots make the frontline, and to focus on any elites that may be mixed into the horde, as their block-breaking attacks can be fatal when mixed in with the standard fodder. If all goes well, you'll end up with a scorecard like above (probably not so extreme). Standard rules-of-thumb are still in effect. See a patrol, avoid it (or bomb it), hear a monster or horde cue, prepare. Your bots are decent at managing specials, even so i would keep an extra eye out for blightstormers (bots are rubbish at avoiding the storms). Righteous Stand as a map is straightforward. The ramp makes a good chokepoint for hordes in the first area. The arena is fairly standard, just hang by portcullis, and go crazy with the hagbane. The wall parts are repeating patterns of chokepoint/open area. Righteous stand has 3 permanent ammunition resupplies scattered evenly throughout the map, so don't worry too much about running outta ammo. The final stand is straightfoward, i personally don't like the scaffold technique, the corner allows more manoeuvrability. I need to emphasize that this is my framework, i'm sure there are many different possibilities. Vermintide 2 is always more fun with other humans, but sometimes it simply isn't possible. The screenshot above is from a run where i wasn't on private as i was hoping people would join. However the server kept disconnecting people after a minute or two and would not allow them to reconnect (my internet was fine, i was the only connection to it). This resulted in two bots glitching and not respawning, resulting in me doing the final part with me and 1 bot instead of 3. Sometimes solo play is the only choice, and this shouldn't restrict you from success.